This morning as I opened my Google mail, I was intrigued by an e-mail from The Institute of Functional Medicine regarding a 2012 study published in PLOS ONE. The experiment involved a specific genetic trait and measured the response regarding the placebo effect. Patients with irritable bowel syndrome were put in one of three categories: 1) They were put on a long waiting list for treatment 2) They were given a placebo treatment, along with a supportive patient-clinician interaction or 3) They were given a placebo treatment, but with a rough, brusque, clinician. The researchers found that the patients who were homozygous (carrying two copies of the specific genetic trait) and who were given option 2 (the placebo with caring clinician) showed both objective and subjective improvements from symptoms. Obviously this study is interesting in regard to this genetic trait and it’s interaction with empathy. However, what really struck me as interesting was that when placebo was given from a withdrawn, harsh clinician it wasn’t enough. The deepest relief from symptoms was achieved in a climate of empathy. This idea has me thinking a little bit more about empathy in general as it relates to our public and private discourse regarding race, economics, and health. Last week my Alma Mater made national headlines as racial tensions once again dominated Missouri discourse. I suppose historically, Missouri has always been on the border between North and South, East and West, left and right—so it shouldn’t be surprising that so much friction should arise as conversations continue. It makes one think the civil war rages on, and it sorrows me to find my home state synonymous with the events of Ferguson, racism and bigotry. I appreciate this article from last summer regarding racial conversations. The phrase “check your white privilege” (or variations) has become a popular term in recent years. I know talking to a lot of people, the phase can be very divisive. Even while I believe the intention of the phrase is to point us toward something necessary, the way it’s expressed can sound blaming, othering, and create a binary that leaves many people on the defensive. The author points out, what the phrase is attempting to summon is the concept that we should “check our empathy.” There are lots of kinds of privilege, and none of them entirely make us personally in the wrong. However, we should be aware of the hardships and experiences that other people are going through; we should offer understanding and a desire for positive changes that could better other people’s experience. I really like the concept and wish we could start a movement to cultivate empathy. 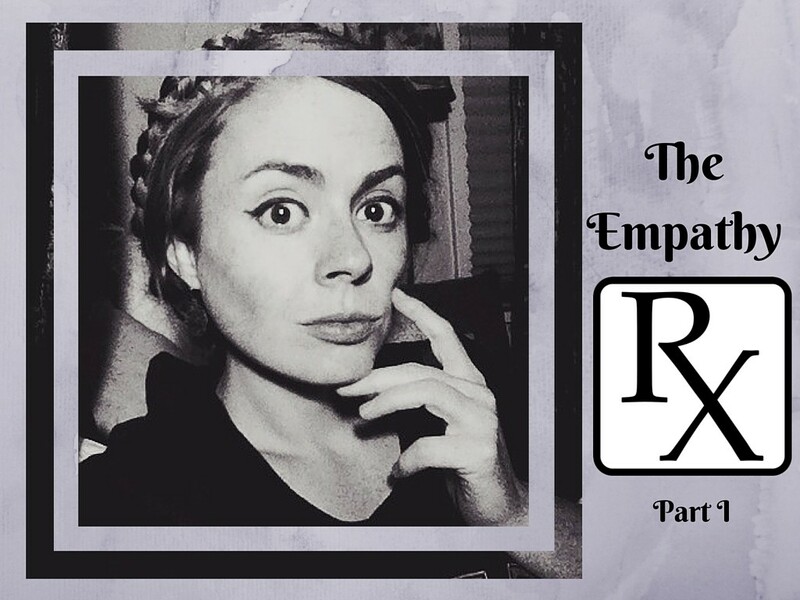 Empathy is disarming–empathy is inviting–empathy is inclusive–empathy is a two way street in which both parties are invited into recognizing a problem and understanding the discomfort it causes, without litigating blame. Empathy erases shame. This fall I chose to revisit Brené Brown’s work on shame and empathy. If you are unfamiliar with her work I can honestly say her ideas continue to change my life. But I will offer this word of caution; once you begin to see the patterns it’s almost impossible to un-see them. So how does this relate to wellness? When I talk about wellness, I’m finding it becomes increasingly difficult to ignore talking about shame. Our culture has one narrative we like to discuss in regard to obesity. The narrative goes like this: people make bad choices, people become fat, fat causes disease, therefore people choose disease. Disease cost money, the burden is picked up by society, therefore shaming people for their choices, their bodies, and their disease is not only acceptable, but necessary in order to avoid the collective burden of their shame. I remember hearing Michael J. Fox once say that there was a lot of shame surrounding disease. Have we really come no farther than the biblical days of leprosy? There are a hundred reasons why I believe this narrative is limited, backwards, and pushing many people away from wellness and healing. I realize that for many, you read the above statements and to a certain degree you agreed. People become fat because they are choosing to be fat… and giving them empathy only makes it comfortable for them to continue their bad habits… right? I realize that there are entire blog post and books that could be written to clear up these misconceptions… many of those books have been written (most impressively, Gary Taubes book Good Calories, Bad Calories which involves a long, but impressive summary of scientific data that points out many of the flaws in that particular approach.) But even if this were not the case, I would still ask the question; if wellness is really what we hope for, (that is to say, we are assuming that fat causes disease, and disease is costing society?) and we accept there is a significant chance that empathy helps cultivate healing, then what purpose do we actually hope to achieve by casting shame on other people? As previously noted, there is considerable evidence that in many cases, grace and empathy provide as much or more healing than conventional medicine. I think it could probably be assumed that even when conventional medicine holds answers, the significance of their application is increased when coupled with grace, understanding and compassion. At this point in my life, it’s difficult for me to comprehend what people believe they’re accomplishing by refusing to offer empathy, yet you can hardly scroll through a single social media outlet without quickly encountering some angle of the shame and blame game. While I dislike it, I believe I know the answer to why we do it: empathy is scary. Empathy dares us to ask questions, to recognize ourselves and our own fragile nature, it dares us to look for the why behind the what, the explanation lurking underneath the seemingly unexcused. Empathy makes us look at those around us and recognize ourselves being mirrored back. As Brené Brown says so well, in order to empathize, “I have to connect with something in myself that knows that feeling.” And we don’t want to do that, because that means we expose ourselves as flawed. If obesity is something that people choose, and disease is frequently caused by obesity, then by making good choices I can negate disease. But if I open myself up to connecting to that struggle that another is going through? I’m admitting that I am vulnerable. Empathy is scary because it exposes our weakness and our shortcomings, and reminds us that sometimes despite ardent efforts, proverbial bootstraps are not to be found. When it comes to our public and private discourse about race, about economics, about health, I believe learning the art of empathy is the first step to true healing. So where do we go from here? In my next few blogs I want to cover a few practical ways I am approaching empathy. To be honest, I’m very much a student of empathy myself, but I’m excited to extend the invitation for you to join me, after all… empathy is the birthplace to living an exquisite life.